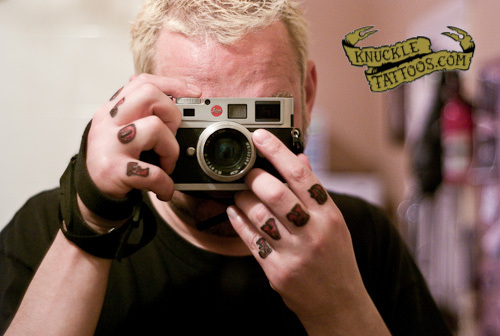 I’m a street photographer in NYC and recently decided to get a FOTOGRAF knuckle tattoo. yeah, it reads “photographer” in German, my country of origin. it also is my first tattoo, and I feel pretty good about it – holding a camera with it just looks badass!